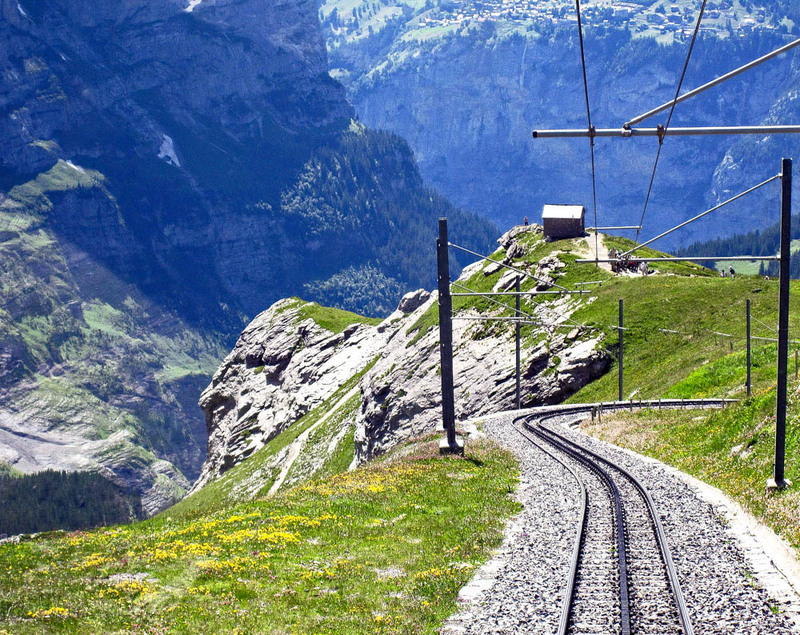 A wonderful way to experience Switzerland’s incredible scenery is aboard Swiss trains. 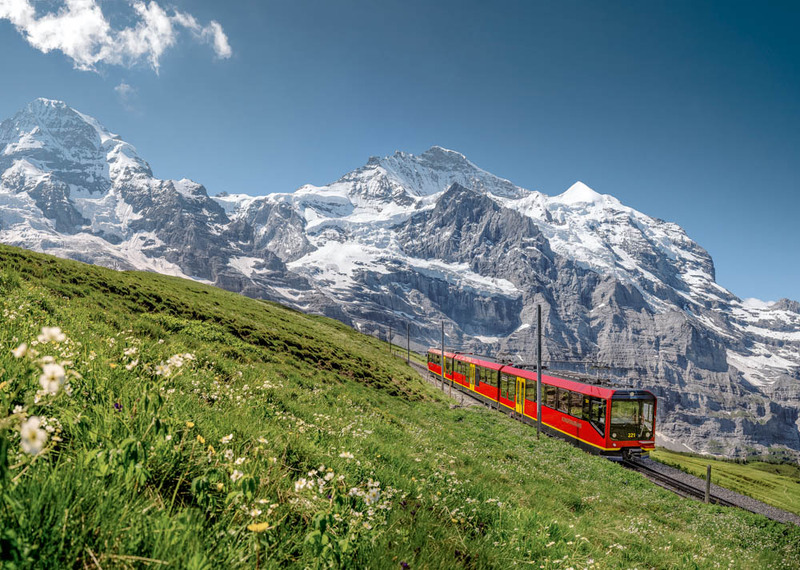 Our luxury Switzerland tours feature privately guided day excursions on the most impressive mountain railways and funiculars, including the most scenic sections of the renowned Glacier Express train route. 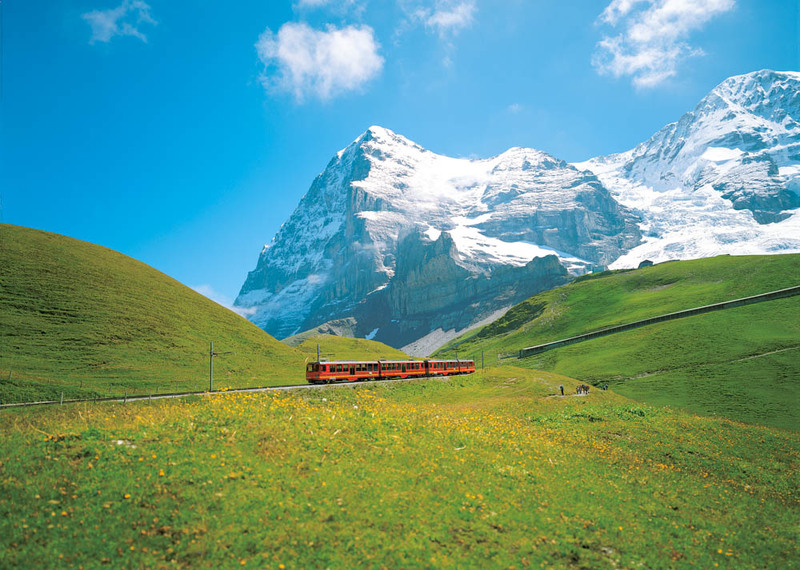 An excursion by cogwheel railways to Jungfraujoch in the mountains of the Berner Oberland—one of the most iconic train trips in Switzerland—features spectacular views of high alpine peaks, towering waterfalls, UNESCO-listed glaciers, and typical Swiss mountain villages such as Wengen and Grindelwald. Outside Lucerne is the renowned Pilatus Railway. 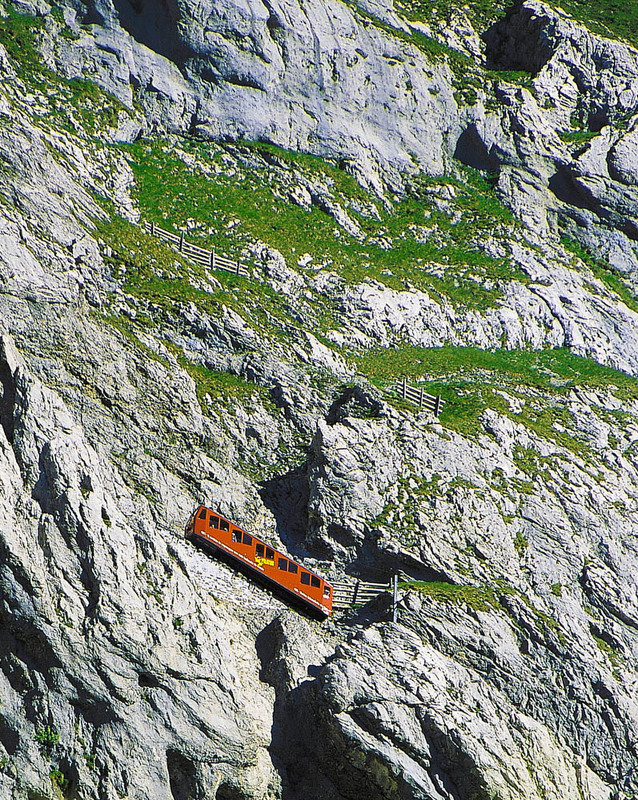 The steepest cogwheel railway in the world, it climbs at a maximum gradient of 48 percent to the craggy top of Mount Pilatus, where viewing terraces overlook Lake Lucerne, Mount Rigi and other classic Swiss landscapes. 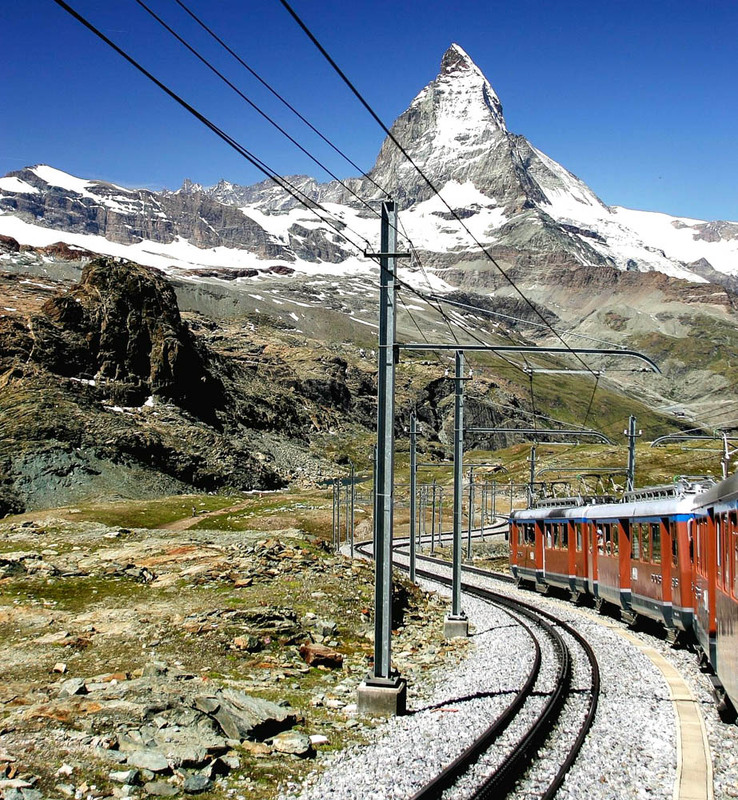 For some of the best views of the stunning Matterhorn, we arrange privately guided excursions aboard the Gornergrat Bahn mountain train. Starting in the village of Zermatt, the train climbs up to the hilltop terminus of Gornergrat, offering dramatic views of the Matterhorn, surrounding glaciers and the beautiful Matter Valley below. The breathtaking Engadine, a region encompassing the resort towns of St. Moritz and Pontresina, offers many scenic journeys by train and cable car. One of our favorites is taking the funicular through a stone pine forest up the slopes to Muottas Muragl, where a hilltop restaurant offers unbelievable postcard vistas of mountains, glaciers, valleys and lakes. 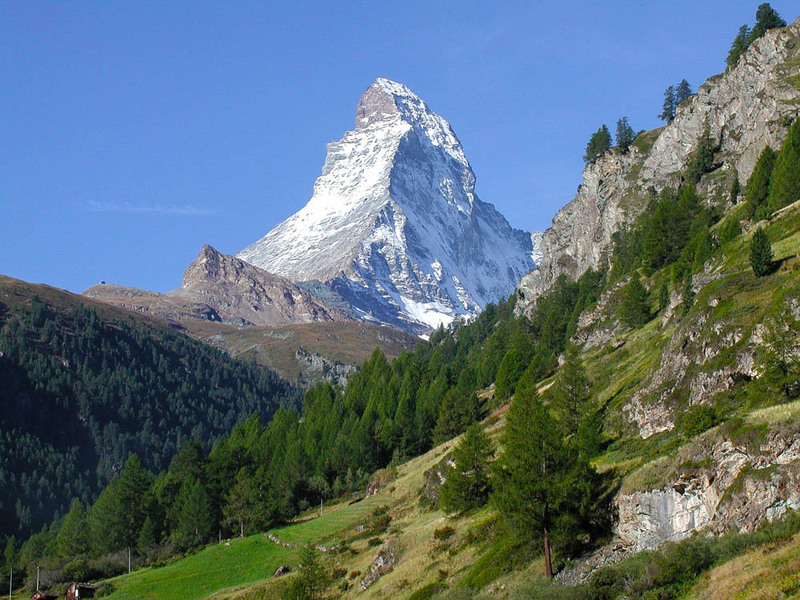 Artisans of Leisure can combine scenic train rides in Switzerland with privately guided day hikes and scenic walks in the alpine landscapes. 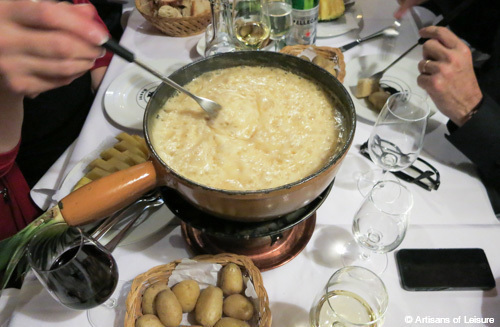 A highlight of such tours is enjoying local meals of rosti, fondue, sausages and other typical Swiss cuisine at charming mountain restaurants. 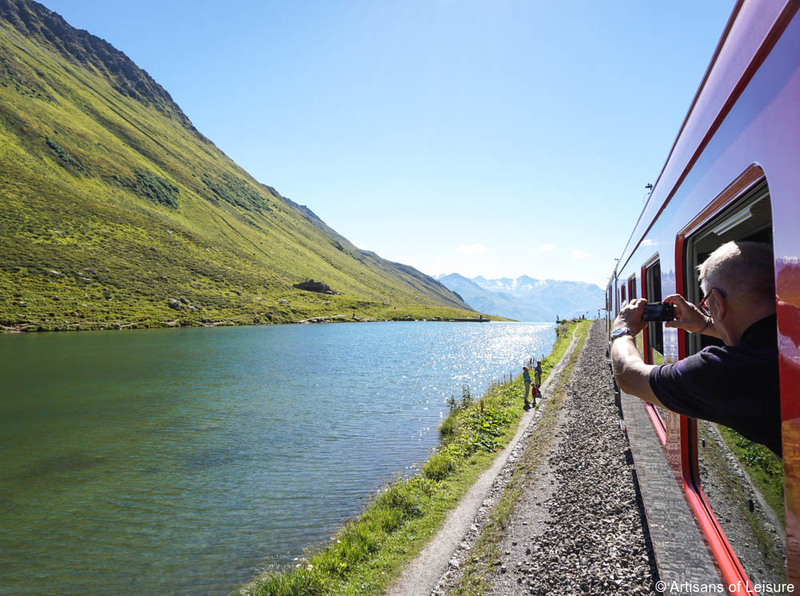 We also arrange rides on sections of the eight-hour Glacier Express route for travelers interested in experiencing the highlights of Switzerland’s most famous rail journey without spending all day on the train. 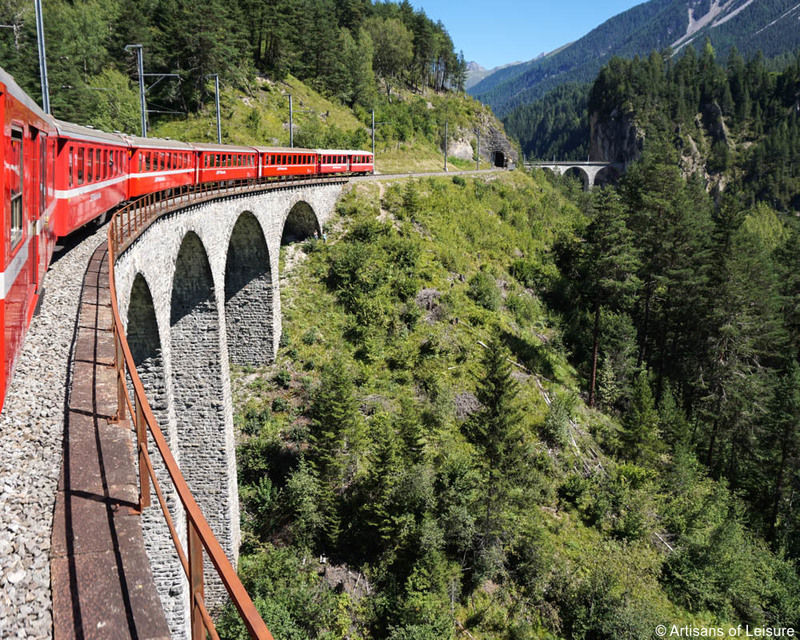 One of the most popular sections is the Rhaetian Railway’s spectacular Albula line between Chur and St. Moritz. This UNESCO World Heritage-listed route winds over high stone viaducts and through tunnels, passing picturesque mountain villages along the way. 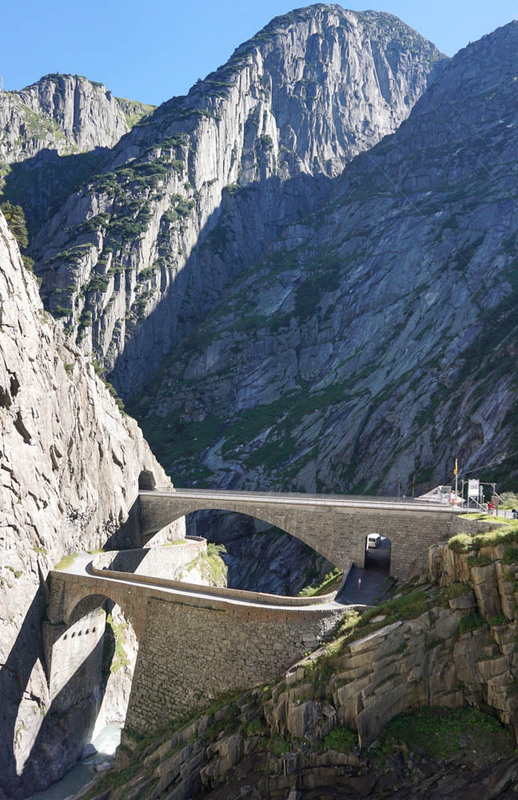 Another option is taking the Matterhorn Gotthard Bahn on the breathtaking alpine route over Oberalp Pass (6,706 ft/2,044 m) between Andermatt and Disentis/Muster. 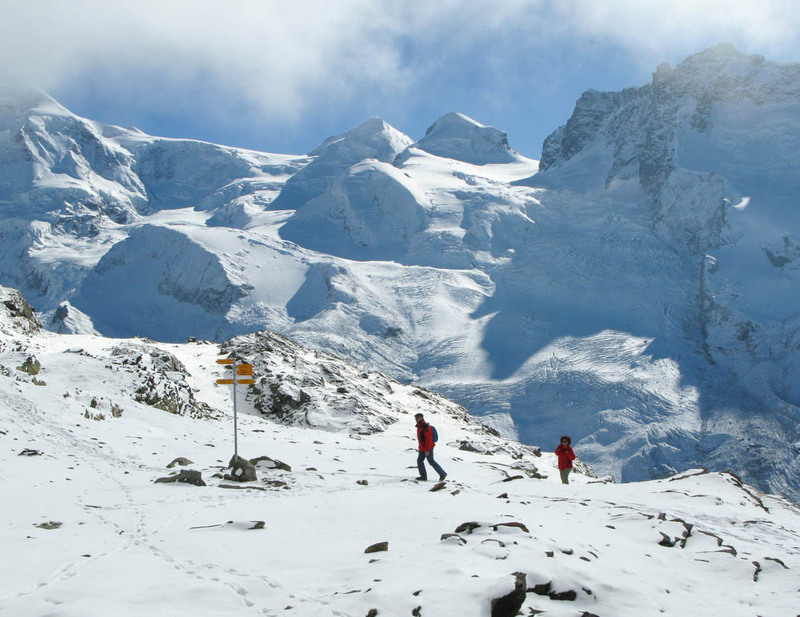 Our Switzerland tours typically include private transfers between destinations by luxury vehicle, but we can easily incorporate train rides on the Glacier Express, Golden Pass, Bernina Express and other routes as part of the journey. For longer rides, we also transfer luggage separately so you can relax and focus on the unforgettable views. 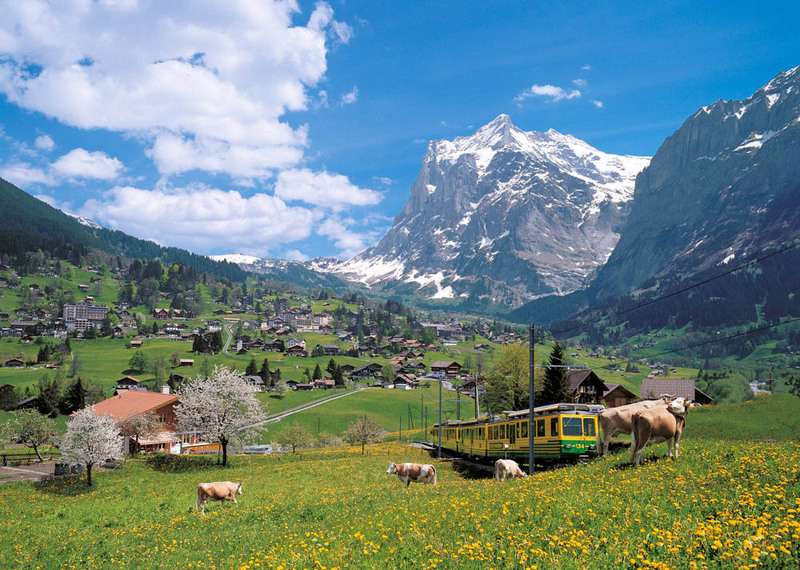 Contact Artisans of Leisure to start planning a customized private Switzerland tour that includes our favorite Swiss train rides.